Fu-Qiang Wen, MD, chairman of the Department of Medicine at West China Hospital, West China School of Medicine, Sichuan University, is a strong advocate for advancing respiratory medicine in his country, particularly for helping rural residents living in the provinces of western China access the care they need. Western China covers nearly three-fourths of the country and is home to more than 360 million people, many of whom have limited resources, Dr. Wen notes. There are fewer than 5,000 respiratory physicians to serve this population, and most are located in large cities, he adds. In both rural and urban regions in China, chronic obstructive pulmonary disease (COPD) is the leading cause of death, he continues, yet less than one-third of patients with COPD are diagnosed. Dr. Wen is concerned about these challenges, yet at the same time optimistic about scientific and technological advances that are coming, as well as other positive changes that have been happening. “In recent years, government support for medicine has increased, which has resulted in improved clinics and hospitals in rural and remote regions, better training in medical specialties, and an increase in health insurance coverage,” he says. Dr. Wen works primarily as a clinician, although he spends much of his time training respiratory physicians and fellows. The Division of Pulmonary and Critical Care Medicine at Sichuan University, where he is based, is ranked among the top three pulmonology programs in the nation, according to Dr. Wen. Dai-Shun Liu, MD, PhD, professor andpresident of the 3rd Affiliated Hospital of Zunyi Medical Collegeand president of the First People’s hospital of Zunyi City, China, received his doctorate under Dr. Wen. Currently, Dr. Wen is also serving as China coordinator for research focused on affordable, effective medication for COPD patients in developing countries, supported by Australia’s National Health and Medical Research Council. In this role, he works closely with Professor Norbert Berend, MD, who is head of the respiratory research at the George Institute for Global Health in Sydney, Australia. Dr. Wen also serves as a national leader for the Global Initiative for Chronic Obstructive Lung Disease (GOLD). In this role, he works with health care professionals and public health officials to raise awareness of COPD and to improve prevention and treatment of the disease. In the past several years, Dr. Wen’s team has studied the pathogenesis and therapeutics of chronic airway mucus hypersecretion—a condition that is extremely common in Chinese COPD patients. Recently, under Nanshan Zhong, a professor and the director of the National Clinical Study Center of Respiratory Diseases in China, they have demonstrated the effect of NAC (N-Acetylcysteine) on the prevention of acute exacerbation of COPD. This medication may be recommended by the GOLD committee for the treatment in COPD patients. In 1986, the Chinese Thoracic Society held its first international symposium on respiratory failure in Nanjing, China. At this meeting, Dr. Wen was one of eight Chinese respiratory physicians to present original studies. Here, Dr. Wen also met John Murray, MD, and James Hogg, MD, PhD, who were representing the ATS. Dr. Wen says he was inspired by their excellent lectures and cutting edging insights, as well as the positive feedback they gave him on his work. 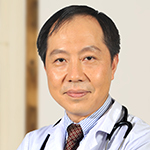 Since 1996, Dr. Wen has attended the ATS International Conference. He has also served on the ATS Assembly on Clinical Problems. Dr. Wen obtained his doctorate degree in Japan and did postdoctoral training at the University of Nebraska Medical Center. In 2003, he was professor and director of the Division of Pulmonary Diseases at the State Key Laboratory of Biotherapy of China. From 2005 to 2013 he was also chief of pulmonary and critical care medicine at West China Hospital/West China School of Medicine in Sichuan University. Dr. Wen began his current role in 2013, but when time allows, he likes to travel, primarily to the Tibetan Plateau, or take his family to Hainan Island.